New York Times Editorial on the Killing of Cecil the Lion! Here is today’s New York Times editorial on the killing of Cecil the lion by an American dentist from Minnesota. The death of Cecil, the black-maned lion killed by an American big-game hunter in Zimbabwe, has unleashed a global storm of Internet indignation. The hunter, Dr. Walter Palmer, a dentist from Minnesota, has been forced into hiding. On the face of it, the reasons are not hard to discern: In an era of dwindling wildlife, proliferation of threatened species and large-scale poaching of elephants and other beasts, big-game hunting in Africa does not hold the allure it may have had in Teddy Roosevelt’s day. And Cecil was no ordinary cat. The 13-year-old lion was a star attraction at the Hwange National Park in Zimbabwe, out of which the hunters lured him with a carcass, and he wore a collar by which scientists at the University of Oxford had been tracking him since 2008. 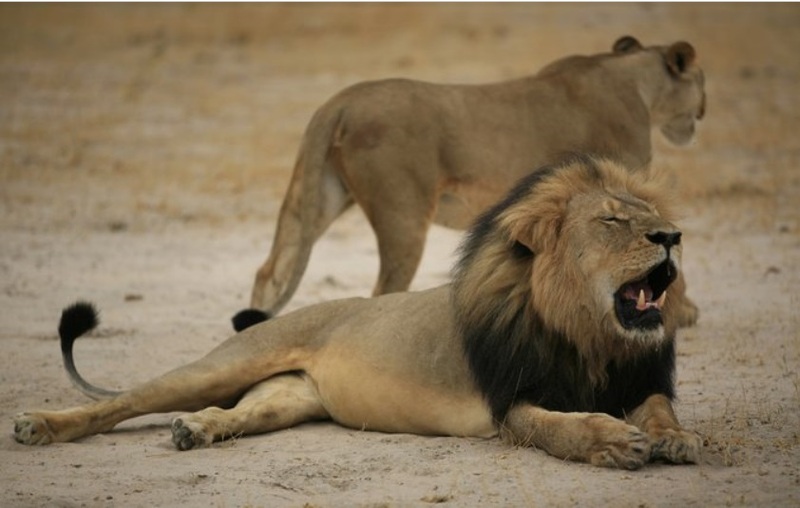 It was wrong and, according to the Zimbabwe Conservation Task Force, illegal to kill Cecil. Dr. Palmer, who reportedly paid more than $50,000 for the hunt, said he relied on local guides and did not know it was an illegal hunt. An official at the United States Fish and Wildlife Service said the agency is also investigating the case. Humans are very selective in their attitudes toward threatened species, and obviously Cecil, a beautiful beast, is the beneficiary of very selective attention. And while critics and non-hunters are repelled by the killing of beautiful animals simply for bragging rights, hunters are not the main reason for the decline in the population of African lions — about 30,000 today, down from 200,000 a century ago. 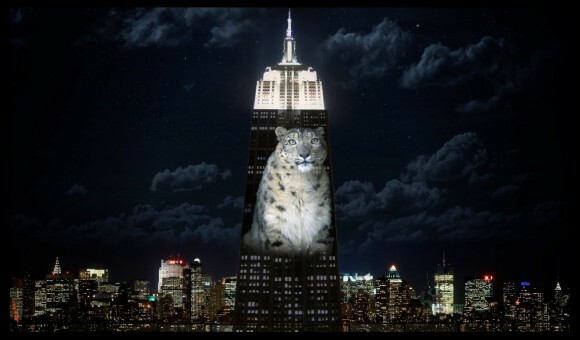 The main threat, as to many other animals large and small, is a vanishing habitat. Some hunters argue that they help conservation through their efforts to maintain the habitats of their prey. These debates will not be ended by Cecil’s cruel death, but maybe something important can come of the public outrage. It should refocus attention on the many species that are in danger, particularly elephants, rhinos and other beasts being destroyed for their tusks, horns and other parts. President Obama was right on his African trip to forgo the usual safari and instead to announce new legal measures to curtail the transport and sale of elephant ivory in the United States. The fury over Cecil’s death should also prompt some soul-searching among hunters who pursue African game, a large number of whom are well-to-do Americans. In one particularly dreadful practice called “canned” hunting, private ranches raise lions purely to trot them out to be killed by “hunters” for trophies. Australia has banned the importation of trophies from “canned” hunts, and Botswana for one has banned lion hunting (Zambia, however, lifted its ban on lion and leopard hunting in May). Such measures could help reduce the kills, but the survival of many species will require far more shared responsibility than nations and communities are currently willing to accept. Empire State Building Light Show: Endangered Species! 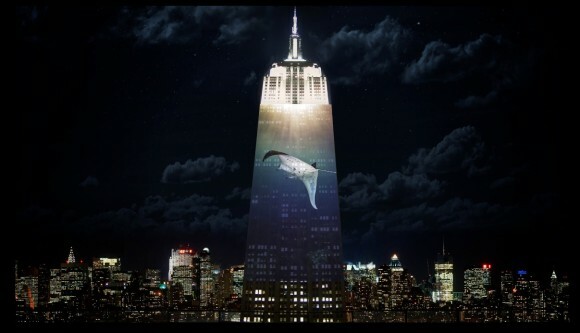 On Saturday, using 40 stacked, 20,000-lumen projectors on the roof of a building on West 31st Street, Mr. Threlkel and Mr. Psihoyos, director of the Oscar-winning documentary “The Cove,” will be illuminating the night from 9 p.m. to 12 a.m. with a looping reel showing what Mr. Psihoyos calls a “Noah’s ark” of animals. A snow leopard, a golden lion tamarin and manta rays, along with snakes, birds and various mammals and sea creatures will be projected onto a space 375 feet tall and 186 feet wide covering 33 floors of the southern face of the Empire State Building. The Money Behind the Albany – NYC City School Wars! The New York Times has an in-depth article analyzing the moneyed interests that are fueling the public school wars in New York. “Former Mayor Michael R. Bloomberg has been out of office for a year and a half, but his influence over New York schools is practically as strong as ever. A group devoted to continuing his education agenda and founded in part by his longtime schools chancellor has become one of the most powerful forces in Albany by pouring millions into lobbying and adroitly exploiting rivalries in state politics. The organization, StudentsFirstNY, and another group with a similar focus called Families for Excellent Schools have formed a counterweight to teachers’ unions, long among the top spenders in the state capital. This year alone, the groups saw major elements of their platforms come to pass, such as tying teacher evaluations more closely to test scores, adding hurdles to earning tenure and increasing the number of charter schools, measures all unpopular with the unions. Among the backers of StudentsFirstNY are major donors to Gov. Andrew M. Cuomo, a Democrat, and to the Republican majority in the State Senate, two of the three parties to all negotiations. Emails and interviews show that StudentsFirstNY has been in regular contact with the governor’s office since his re-election. At the same time, the two groups have become a major nuisance to Mr. Bloomberg’s successor as mayor, Bill de Blasio, a Democrat, who campaigned on reversing some of his predecessor’s policies and is friendly with the city teachers’ union. The groups have delivered a drumbeat of attacks on Mr. de Blasio’s education policies in television advertisements, rallies where parents upbraid the mayor for not confronting what they call an education crisis, and weekly, or at times daily, emails to reporters. Amid this onslaught, Mr. Cuomo and the Senate delivered a rebuke to the mayor this year by agreeing to only a one-year extension of mayoral control of city schools. (By contrast, Mr. Bloomberg, a political independent, was initially given control for seven years, then received a renewal for six.).. Jenny Sedlis, the executive director of StudentsFirstNY, said the group’s goal was to create a permanent organization to advance important education changes and neutralize the influence of the teachers’ union. “Before we came on the scene, the pro-reform community would get together for episodic fights and then we’d scatter, and the U.F.T. was always there,” she said, referring to the United Federation of Teachers, the city teachers’ union. The group is so plugged into the capital that Ms. Sedlis has sometimes served as a go-between among different government offices, relaying messages and scouting information about education bills being considered. It has not hurt the group’s efforts that Mr. Cuomo and the Republican majority in the Senate are no fans of Mr. de Blasio. StudentsFirstNY was founded in 2012 by Joel I. Klein, who had been the schools chancellor for more than eight years under Mr. Bloomberg; Michelle Rhee, a former Washington schools chancellor; and the billionaire hedge fund managers Daniel S. Loeb and Paul Tudor Jones. It receives some support from StudentsFirst, the national organization Ms. Rhee founded in 2010, but has its own board of directors and functions independently. Mr. Bloomberg himself does not appear to be involved in StudentsFirstNY. An aide, Howard Wolfson, said that he had not given money to the group. Reuters reported in 2012 that Mr. Bloomberg had helped finance Ms. Rhee’s national organization, but Mr. Wolfson would not confirm that. Mr. Loeb hosted a fund-raiser for Mr. Cuomo this month at his home in East Hampton, N.Y. He and his wife have contributed $139,367 to Mr. Cuomo over the past five years, according to New York State Board of Elections records. In the same period, Mr. Jones and his wife have contributed $75,000, and another board member, Carl C. Icahn, has contributed $50,000 to the governor. This is a sad state of affairs for public education in New York. The article illustrates well political and financial agendas at play, neither of which will help school children. The Chronicle Analyzes Possible Sale of Blackboard: Pearson? “Jeff Alderson, principal analyst at Eduventures, said that there would hardly be a bidding war for the company, which is losing some customers to newer players such as Instructure. But he said that because Blackboard had reported strong sales in overseas markets and is working to streamline its operations and update its products, it might command something like a $3-billion-plus valuation. Mr. Alderson guessed it could be a major textbook company like Pearson, which just sold the Financial Times for $1.3 billion, and so has the wherewithal to be a serious bidder for Blackboard. Or he said it could be a major technology provider such as Oracle, or a private-equity firm that saw an opportunity for further growth. Blackboard was last purchased by Providence Equity Partners, in 2011, for $1.64 billion. If another private-equity firm did buy it, that might result in little change in the company’s products, since the firm would essentially be betting that the current turnaround attempt will work. Those of us interested in instructional technology will be most interested to see how this plays out. Blackboard Learning Management Software is Up for Auction! Blackboard, the giant provider of learning-management software, is up for sale. According to the Reuters, the privately held software company is seeking a buyer unfazed by an estimated $3-billion price tag. The company has hired two banks to conduct an auction to find such a buyer. Blackboard was taken private in a buyout four years ago. Since then, it has faced increased competition from educational-technology start-ups. A pioneer in education management software founded in 1998, Blackboard has seen its growth slow in recent years as cheaper and faster software upstarts such as Instructure Inc have tried to encroach on its turf. Since its launch in 2011, Instructure has signed up 1,200 colleges and school districts, according to its website. Blackboard’s majority owner, private equity firm Providence Equity Partners LLC, has hired Deutsche Bank AG (DBKGn.DE) and Bank of America Corp (BAC.N) to conduct the auction. George Washington University to Drop SAT and ACT Admissions Tests! “George Washington University’s new policy will go into effect on Aug. 1 and applies to both freshman applicants and transfer students. The university said in a statement that it came to the decision based on the findings of its Task Force on Access and Success. Students are free to submit their SAT or ACT scores if they feel that the results accurately reflect their academic abilities, the university noted, but those who choose not to will face no penalty in the admissions process. The National Center for Fair & Open Testing, also known as FairTest, applauded GW’s decision, noting that 40 colleges and universities have adopted test-optional policies in the last two years, including Wesleyan, Brandeis, Bryn Mawr and Temple. Chicago School Board Has New Leadership and Seeks Way Out of Budget Woes! “The nation’s third-largest public school district is struggling with falling credit ratings, a big budget deficit and lack of an approved plan to ease escalating pension costs. The general obligation bonds will provide as much as $650 million in school facility improvements, $250 million in budget relief by restructuring existing bonds, and $300 million to convert variable-rate debt into fixed-rate bonds and pay banks to terminate swaps used to hedge interest-rate risk, according to a presentation to the board. At a public hearing on the bonds, James Bebley, the district’s general counsel, said talks were continuing with banks over the swaps and outstanding debt. Downgrades by Moody’s Investors Service and Fitch Ratings in March triggered about $228 million in termination payments by the Chicago Public Schools (CPS) to bank swap counterparties. Moody’s cut the district’s rating to “junk” in May. Earlier this month, Standard & Poor’s dropped its rating two notches to BBB, while warning another downgrade could come without a “credible” fiscal 2016 budget. A spending plan is expected to be unveiled in August. School officials have said the budget will rely on $500 million in pension savings that have yet to be enacted by the Illinois Legislature and will incorporate a $106 million cut in state funding. We wish this great urban school district well as it tries to weather its financial issues. “… the Rupert Murdoch-owned publishing house HarperCollins announced just this week that it had sold more than 1.1 million copies in a week’s time, making it the “fastest-selling book in company history.” “Watchman” has rocketed to the top of the New York Times best-seller list, where it will surely stay for a while. And the Rupert Murdoch-owned Wall Street Journal not only excerpted the first chapter on the Friday before publication, but it also gave its readers a chance to win a signed first edition of the book. Talk about synergy! The Ur-fact about Harper Lee is that after publishing her beloved novel, “To Kill a Mockingbird,” in 1960, she not only never published another book; for most of that time she insisted she never would.Until now, that is, when she’s 89, a frail, hearing- and sight-impaired stroke victim living in a nursing home. Perhaps just as important, her sister, Alice, Lee’s longtime protector, passed away last November. Her new protector, Tonja Carter, who had worked in Alice Lee’s law office, is the one who brought the “new novel” to HarperCollins’s attention, claiming, conveniently, to have found it shortly before Alice died. But the others in the meeting insisted to The Times that she was there the whole time — and saw what they saw: the original manuscript that Lee turned into Tay Hohoff, her editor.Hohoff, who appears to have been a very fine editor indeed, encouraged her to take a different tack. After much rewriting, Lee emerged with her classic novel of race relations in a small Southern town.Thus, The Times’s account suggests an alternate scenario: that Carter had been sitting on the discovery of the manuscript since 2011, waiting for the moment when she, not Alice, would be in charge of Harper Lee’s affairs. If what Nocera says is true, it is indeed sad commentary about HarperCollins. Two Teachers Praised for Their Heroism During the Deadly Shooting in Lafayette Movie Theater! “Two women are being lauded for their heroism during a deadly shooting in a Lafayette, Louisiana, movie theater Thursday night. Jena Meaux and Allister Viator Martin are both teachers at Jeanerette High School in the city of Jeanerette, according to The Guardian. The women were attending the movie together and were wounded in the incident. Their actions saved lives, said Louisiana Gov. Bobby Jindal (R). Jindal, who arrived at the theater around 9:30 p.m. — about two hours after police were first called to the scene — told local news station KATC that one of the women jumped in front of her friend to block her head from an oncoming bullet. The second woman was then able to reach the theater’s fire alarm and alert people outside of the theater that an emergency was occurring. A witness in a neighboring theater initially thought the gunshots were just part of a movie but realized something was amiss when he heard the alarm go off, he told CNN. Cammie Maturin, president of the Iberia Association of Educators — the local parish chapter of the Louisiana Association of Educators — knew both women and was not at all surprised by their actions, she told The Washington Post. “They did exactly who they are as people; saving each other, saving a whole lot of other people,” Maturin said. The pair were close friends and loved by their students, she added, saying they were in good spirits at the hospital Thursday night. Thomas Egan: Donald Trump is the Poison that the Republican Party Concocted! “The adults patrolling the playpen of Republican politics are appalled that we’ve become a society where it’s O.K. to make fun of veterans, to call anyone who isn’t rich a loser, to cast an entire group of newly arrived strivers as rapists and shiftless criminals. Somewhere, we crossed a line — from our mothers’ modesty to strutting braggadocio, from dutiful decorum to smashing all the china in the room, from respecting a base set of facts to a trumpeting of willful ignorance. They say he’s trashing the Republican brand. They say he’s “stirring up the crazies,” in the words of Senator John McCain. But Trump is the brand, to a sizable degree. And the crazies have long flourished in the Republican media wing, where any amount of gaseous buffoonery goes unchallenged. And now that the party can’t control him, Trump threatens to destroy its chances if he doesn’t get his way, running as an independent with unlimited wealth — a political suicide bomb. Trump is a byproduct of all the toxic elements Republicans have thrown into their brew over the last decade or so — from birtherism to race-based hatred of immigrants, from nihilists who shut down government to elected officials who shout “You lie!” at their commander in chief.